Copper Reflections provides handcrafted jewelry and unique gifts using an exclusive ancient copper craft. 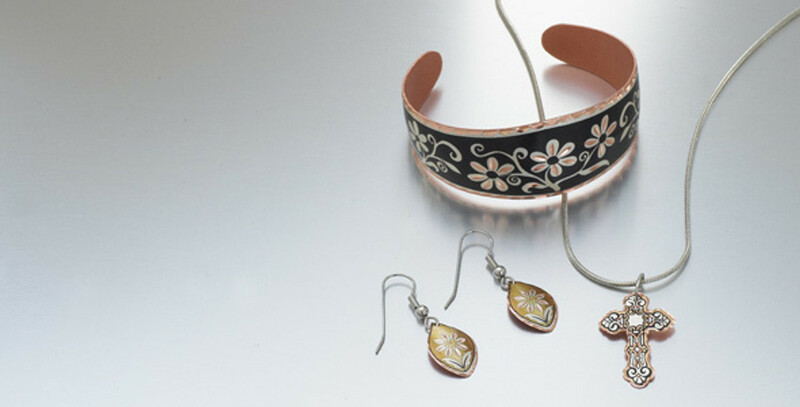 Each piece is silver plated and individually diamond cut on copper. Inspired by the beauty of wildlife, nature and Native Peoples of North America, each piece is carefully designed and handcrafted especially for you.